KUAC invites a studio audience and we had a blast! Twin fiddles, mandolin, banjo, guitar and upright bass with tight harmonies and a driving dance rhythm are halmarks for Foghorn Stringband. Hear how they've found old time fiddle tunes and arranged them. 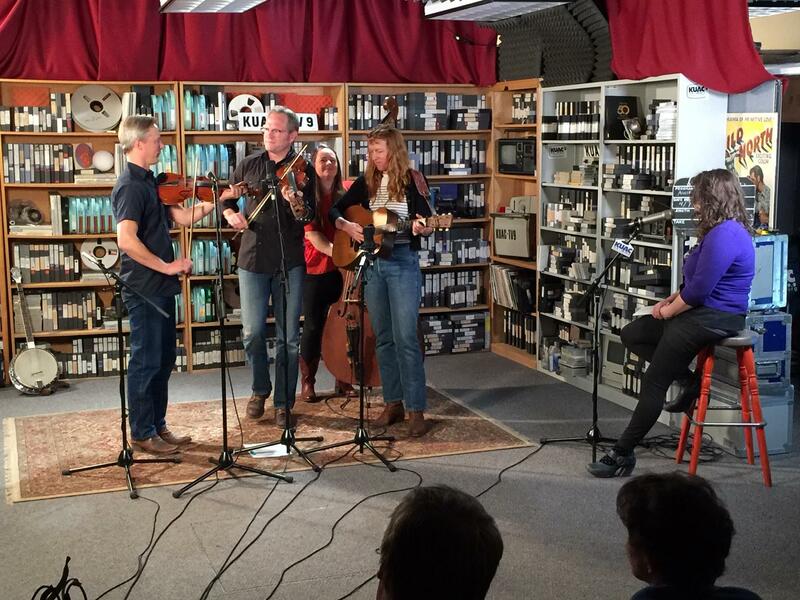 Great tunes and conversation on this Alaska Live with Foghorn Stringband. Foghorn Stringband is the "gold standard of today's Old Time Music scene". Listen for yourself!